Each letter in this word is significant & has a meaningful strategic & inspirational message to achieve the company’s goal & objectives. Through the dedicated & concentrated efforts of translating the strategy into reality, Aftel will be capable of becoming a leader & maintain its position in the minds of the customers. Aftel dedicated employees are capable of transforming the dream of the AFTEL management into reality, by concentrating on the achievement of its strategy. Fulfill personal communications potential & be a leader. Offer wholesale services & be a leader. Win national & international customers. Achieve company’s & employee’s growth. 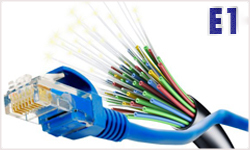 Afghan Telecom is a telecommunication government company in Afghanistan offering the following internet services.